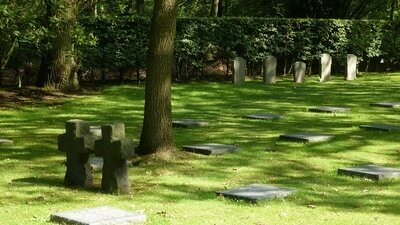 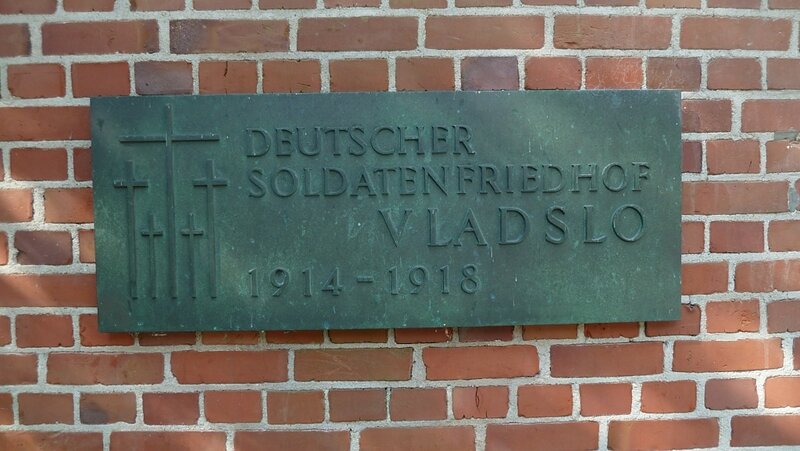 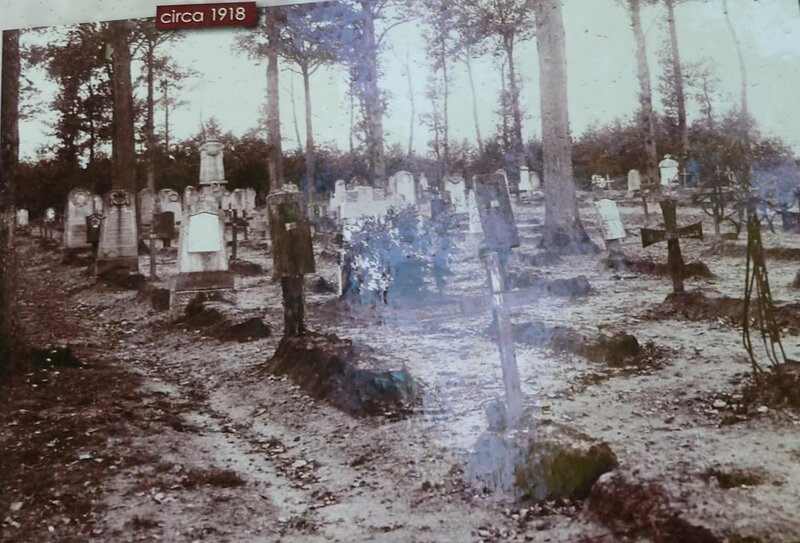 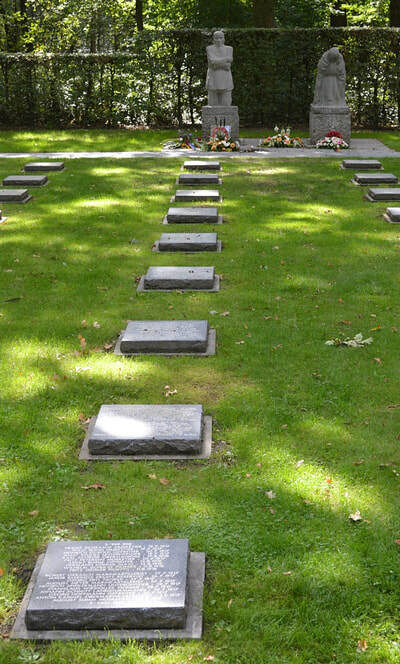 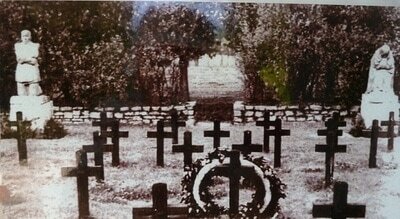 Vladslo German Military cemetery is about three kilometres north east of Vladslo, near Diksmuide, Belgium. 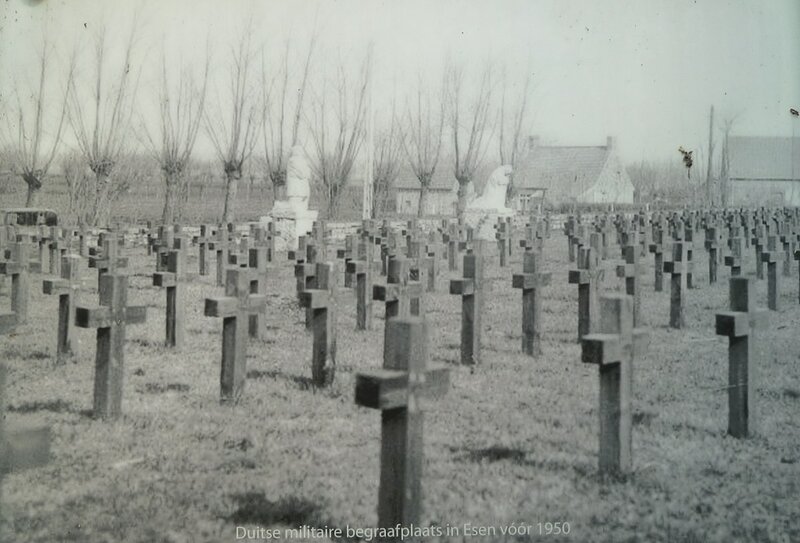 Established during World War I, the cemetery holds 3,233 wartime burials. 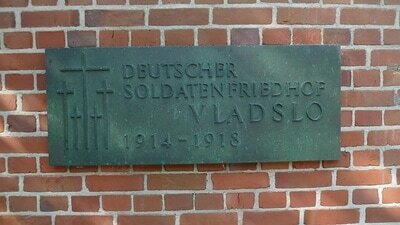 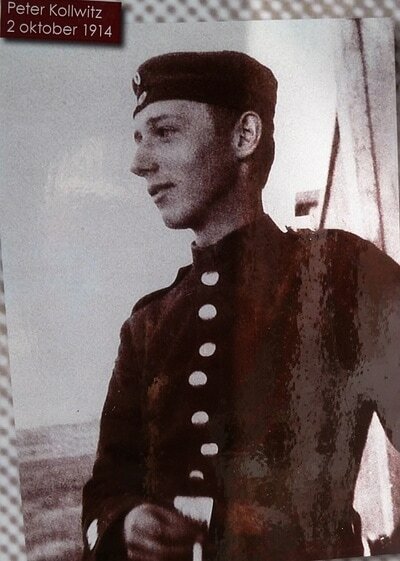 In 1956, burials from many smaller surrounding cemeteries were concentrated in Vladslo, and it now contains the remains of 25,644 soldiers. 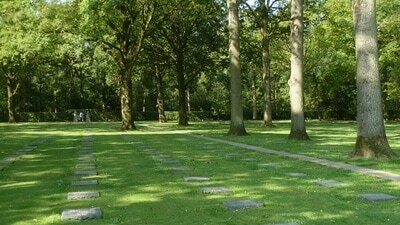 Each stone bears the name of twenty soldiers, with just their name, rank, and date of death specified. 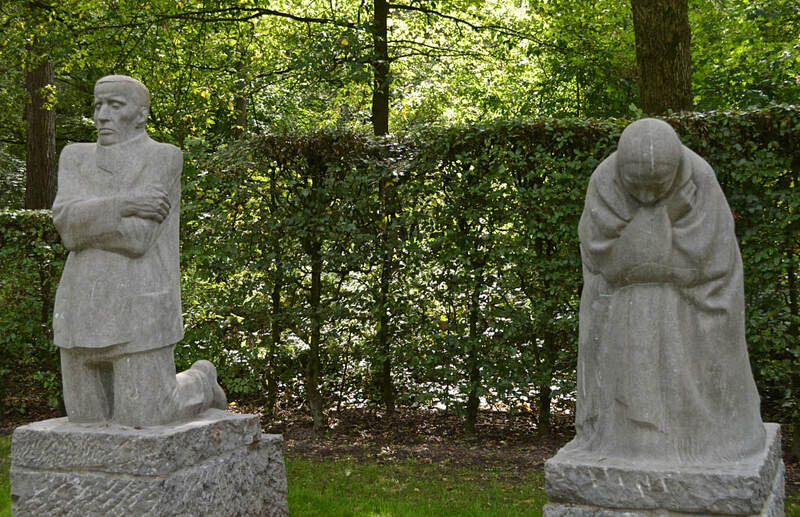 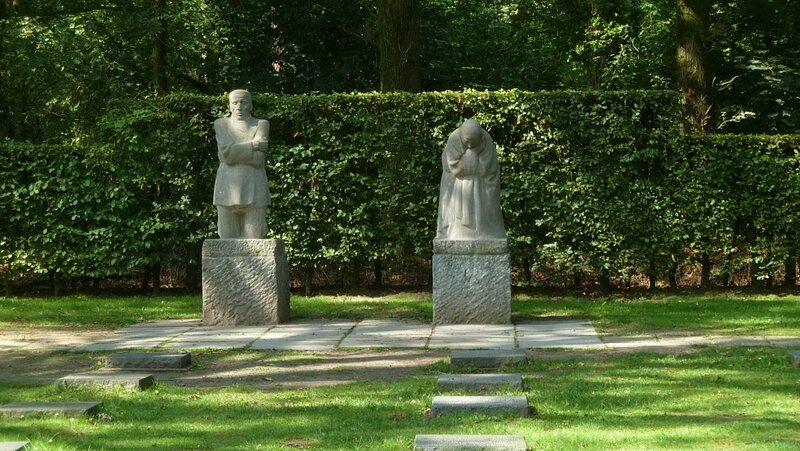 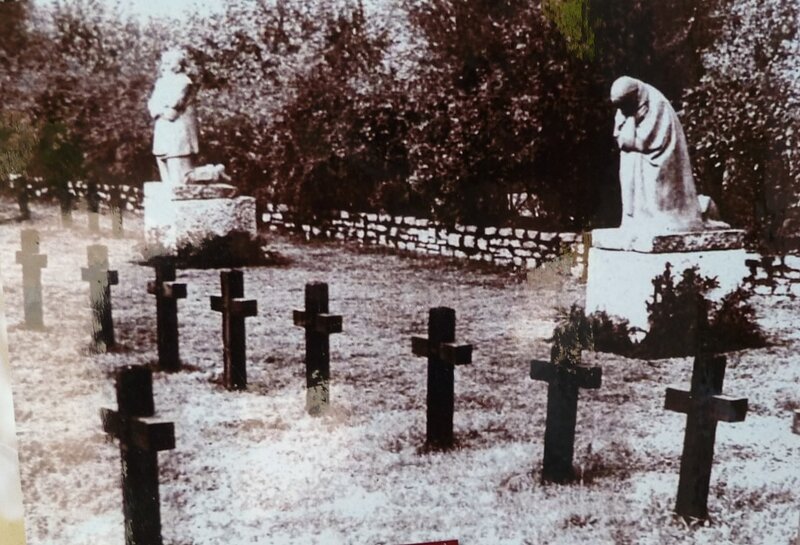 The cemetery also contains a pair of statues – The Grieving Parents– designed by Käthe Kollwitz, a noted German sculptress. 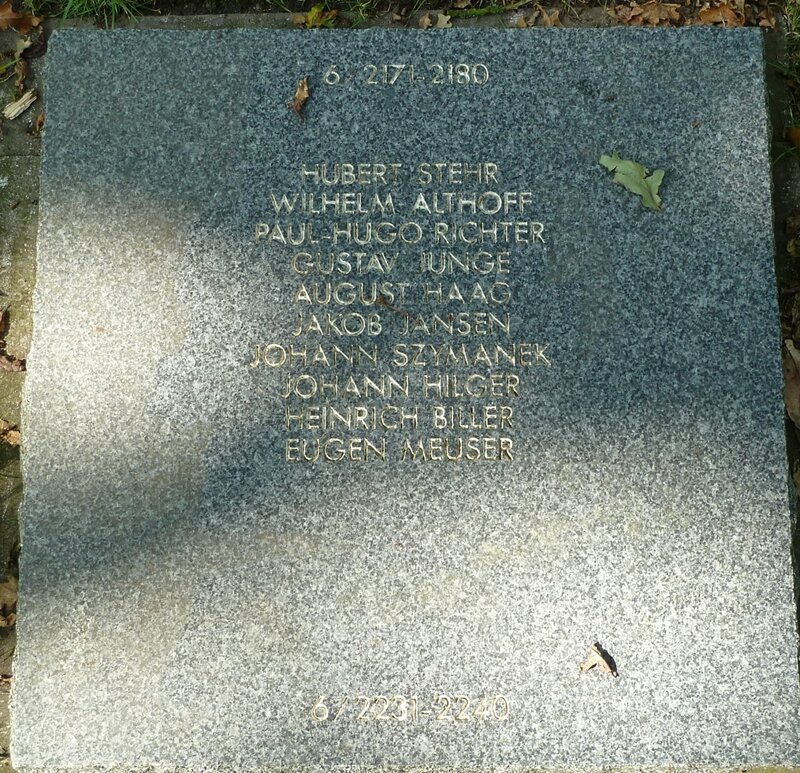 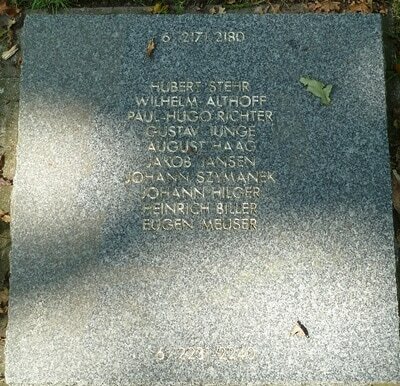 The sculptors were (father) August Rhades; (mother) Fritz Diederich. The two statues were made in the 1930s as a tribute to her youngest son, Peter, who was killed in October 1914 and is buried nearby. 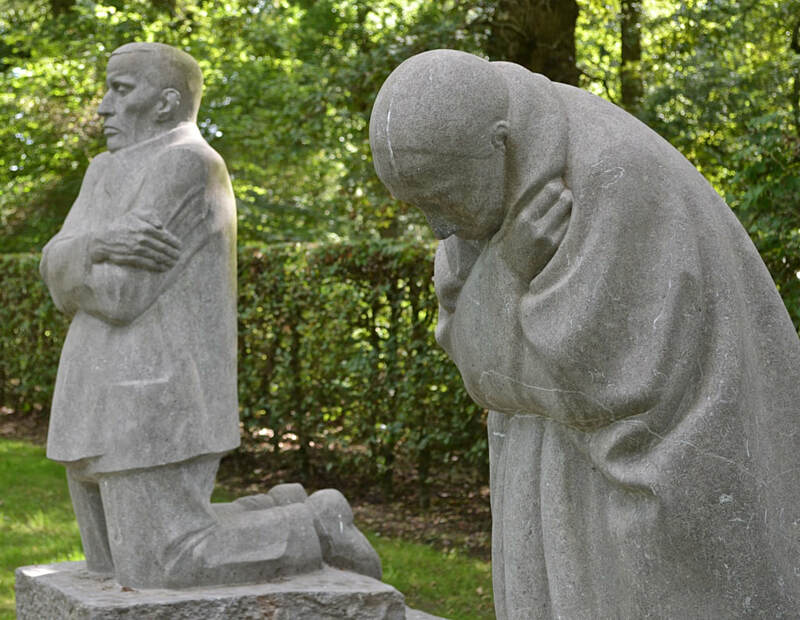 The eyes on the father-figure gaze on the ninth stone before him, on which his son's name is written. 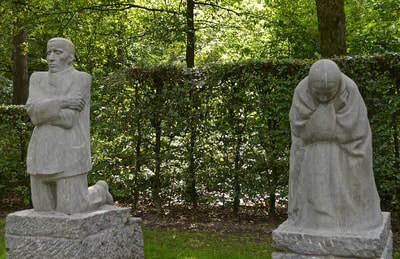 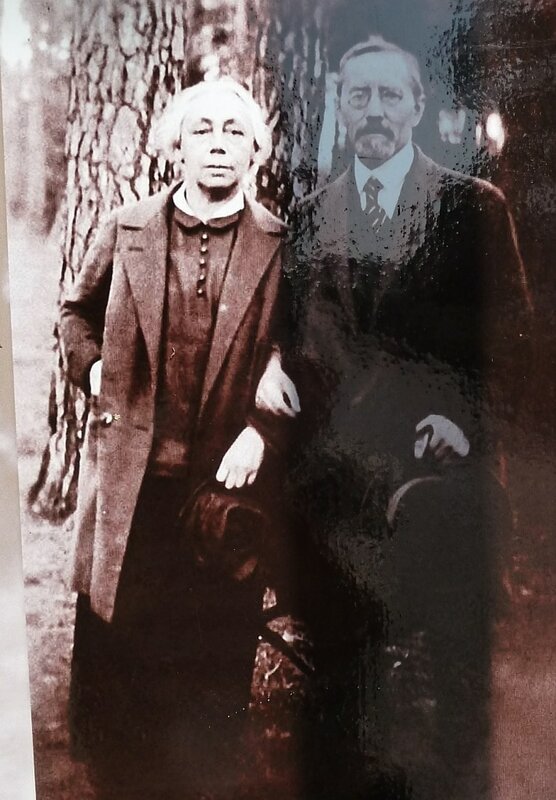 The statues were first installed in 1931 at Roggeveld cemetery, and removed from there along with bodies of the dead, including that of her son, for installation at Vladslo in1956.